I and my partner Jason Rubin founded Naughty Dog, Inc. in 1985 and ran the company for almost twenty years. While there, I was a design/co-director/technical lead on Math Jam, Ski Crazed, Dream Zone, Keef the Thief, Rings of Power, Way of the Warrior, Crash Bandicoot, Crash Bandicoot 2: Cortex Strikes Back, Crash Bandicoot: Warped!, Crash Team Racing, Jak & Daxter: The Precursor Legacy, Jak II, and Jak 3. I was lead programmer (and sometimes sole programmer) on all of these games except for Crash Team Racing. Overall, games I’ve been lead programmer on have sold more than 40 million copies worldwide. The story of my earliest days as a programmer can be found here. Below is an index of my posts about video games development. To see all the games posts inline click here. 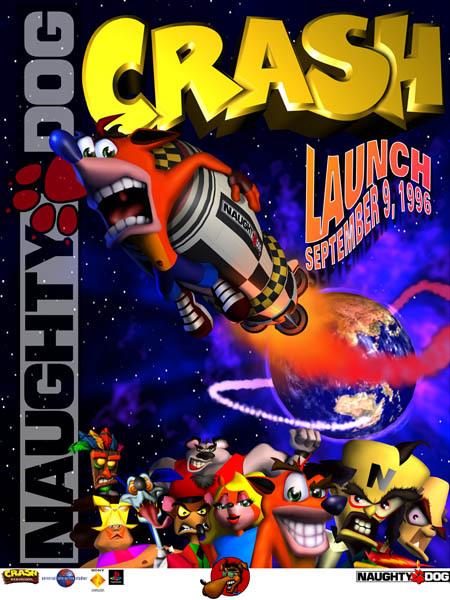 Eventually I plan on doing series about each of my games, but I’ve only tackled the first Crash Bandicoot at this time. How do I get a job designing video games?